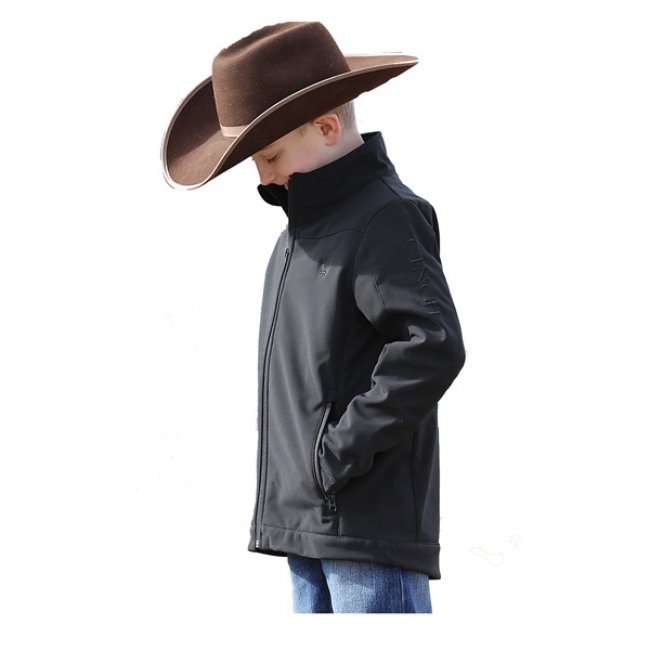 This Cinch Boys bonded jacket will have your young cowboy looking and feeling grown up as he heads off to help his dad, or maybe just down to the bus stop. Either way, you’ll know he’s warm and dry with this simple jacket that he’ll love to wear. Comfortable and not ‘too childish, Mom!’, this jacket will be a success for you and for him!